Providing winter gear does not only equip the students to have a safe, fun and healthy winter, but it also is a start of a conversation with many parents regarding other areas of instability that they may be experiencing. It will often cost families over $75 to get their kids ready for winter. Through our Winter Warm Wear Program, we work with families to get a winter jacket, water proof gloves, hats and scarf. We also have a limited selection of boots and snow pants for the families to choose from. 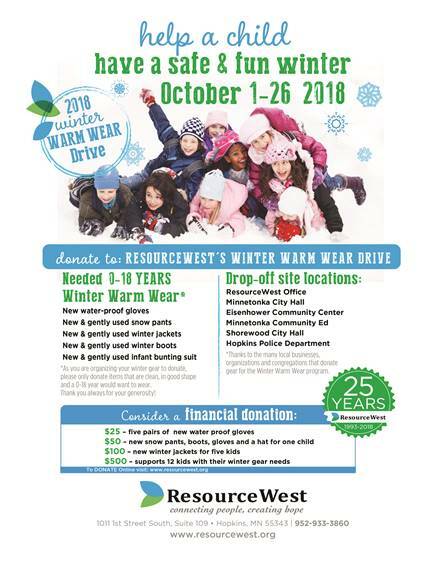 This is great program of all families in our area to donate their gently used winter gear – we accept donations all year long.